MacBook owners who’ve noticed that the rubber bottom of their laptops have begun to separate from the case now have some recourse. 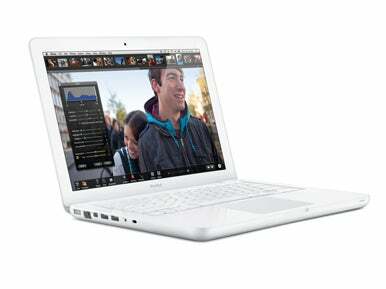 On Tuesday, Apple announced a free MacBook Bottom Case Replacement Program to help quell any separation anxiety. The issue potentially affects white polycarbonate MacBook models shipped between October 2009 and April 2011, and can be repaired by simply swapping out the existing bottom case for a replacement. Apple’s offering a few ways to do this: in person via an Apple Store or Apple Authorized Service Provider, or, in a somewhat un-Apple fashion, on your own with a do-it-yourself replacement kit. The latter, which can be ordered from Apple, contains the new bottom case, screws, a Philips-head screwdriver, and instructions for the process. If you’ve ever assembled furniture from Ikea, I’m guessing you’ll probably be able to handle it. No matter which method you choose, Apple will check your serial number to make sure your laptop is eligible for the replacement program. Affected models will be covered for two years from the original purchase date, though Apple says it will keep an eye on service data and provide further extensions as necessary. If you have a MacBook from this period that isn’t exhibiting this problem, then there’s nothing for you to do right now (though I suppose you could always order a replacement kit to have on hand, just in case). And, on the off chance that you’ve already run into this problem and paid out of pocket to have it fixed, you can contact Apple about a refund. While this is the first I’ve heard of this particular issue, I’m sure this will be a great help to those MacBook users who have started to come a bit unglued.